We’d love your help. Let us know what’s wrong with this preview of Teachings of the Hindu Mystics by Andrew Harvey. To ask other readers questions about Teachings of the Hindu Mystics, please sign up. 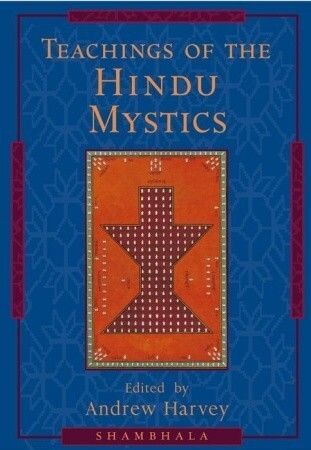 An excellent overview, a broad collection of "mystic" and other sources of the India area. It's fascinating, I've had it about 5 years now and it leaves me madly wanting much more! I guess it's a match for me. Can anyone recommend further reading of this kind, an overview with lots of original text from all through the ages, places and types? I bought a book about yoga by Vivekananda, so that name is covered! Great book with excerpts from all the great Hindu books including the Vedas, the Upanishads and Bhagavad Gita. Also includes quotes from the various saints from Tukaram to Kabir and from Ramakrishna Paramhansa, Vivekananda,Tagore and Aurobindo. Not the kind of book you read cover to cover. This is the kind of book you would like to read over and over again and read selected portions. Recommend to anyone who is looking for some spiritual inspiration. -Kali-İlahi Ana-Evrensel Anne-Mahaşakti-Yüce Şakti-Şakti-Tara-Şyam-İlahi Kudret. Artık Şu Havuzun Suyuyla Ganj'ın Suyu Arasında Hiç Bir Ayrım Yapmadığında, Yetkin Farkındalığa Ermiş Olduğunu Bilirsin. Andrew Harvey is an author, religious scholar and teacher of mystic traditions, known primarily for his popular nonfiction books on spiritual or mystical themes, beginning with his 1983 A Journey in Ladakh.